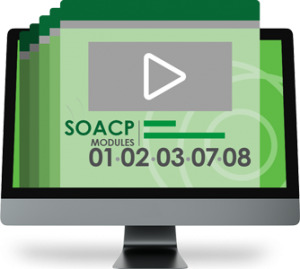 This digital Study Kit Bundle provides on-line access to course materials for self-paced study and exam preparation to complete the SOA Architect Certification. Note that this eLearning Study Kit Bundle can alternatively be purchased as an add-on for the printed SOA Architect Study Kit Bundle for only $396. This certification bundle price is based on a 20% discount applied to all eLearning Study Kits. To purchase a certification bundle you are not required to purchase all of the eLearning Study Kits in the bundle at the same time. You can purchase eLearning Study Kits one at a time. As long as they are licensed to the same person, a bundle discount can be applied when all kits in a bundle have been ordered.